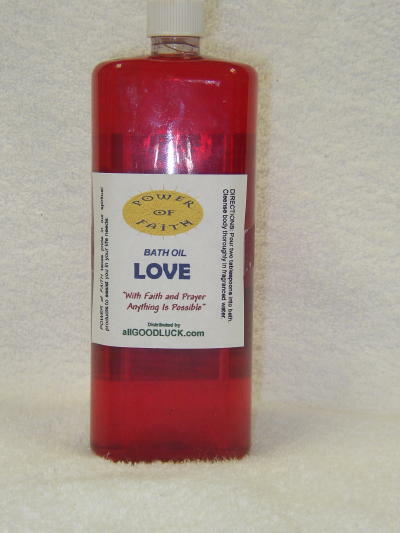 To assist you in your quest for good fortune, allgoodluck.com is pleased to offer “Power of Faith” specially formulated spiritual baths with special oils to aide you in achieving you goals. 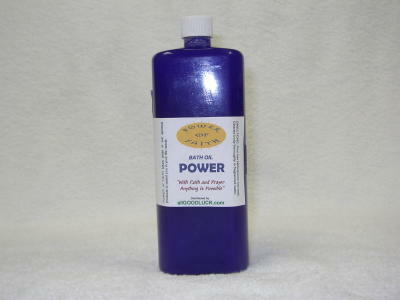 These remarkable “Power of Faith” baths are formulated and for specific reasons, MONEY, LOVE, POWER, and JINX REMOVING. Water is a holy liquid; we all need it for survival. The use of water as being metaphysical is cross-cultured. Every religion uses baths to assist them. Jews use the Mikveh, in India people pilgrim to the Holy Baths; John the Baptist performed ritual baths on Jesus. Today our own modern bathtub has become our sources to perform cleansings and rituals. A bath can be anything you want it to be. allGOODLUCK.com is pleased to offer direct to you special “Power of Faith” Spiritual Baths, geared towards your special needs. These include MONEY, LOVE, POWER, and JINX REMOVING. These baths are specially formulated with special spiritual bath oils. A spiritual bath is different from a cleansing bath. A cleansing bath is for sanitary reasons, but a spiritual bath is to remove unwanted energies and to bring good vibrations. Prior to a spiritual bath it is recommended you take a shower first to remove dirt, so when taking your bath, you can concentrate. A person, who takes a spiritual bath, believes in a higher faith. This triggers off the necessary energies mixed with the physical attributes of the special “Power of Faith” bath ingredients, it brings an end to unwanted vibrations and the start of positive energies. Along with a strong body mind and soul, anything is possible. People have been known to achieve their desires, why not you? 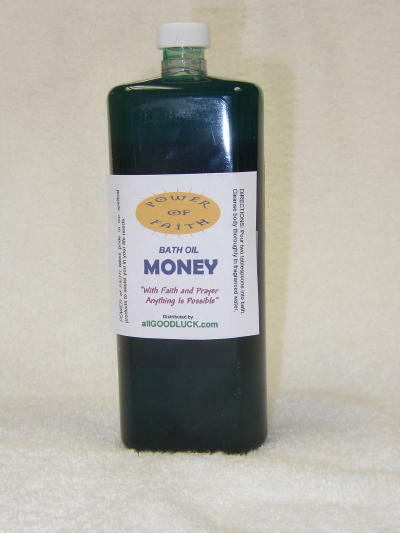 Whether your desire is to achieve GOOD LUCK, FAST MONEY, LOVE, REMOVE A JINX, or to give you POWER of MIND, allGOODLUCK.com “Power of Faith” Baths are specially formulated with special spiritual bath oils. Click on any of the photos to enlarge the items. Use for money. Pour two tablespoons into bath. Cleanse body thoroughly in fragranced water. Use for love. Pour two tablespoons into bath. Cleanse body thoroughly in fragranced water. 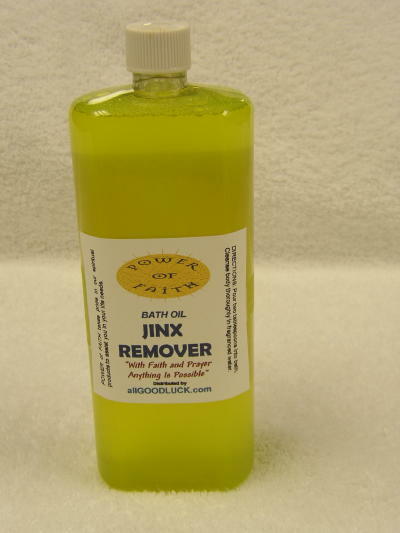 Use to remove a jinx. Pour two tablespoons into bath. Cleanse body thoroughly in fragranced water. Use for power. Pour two tablespoons into bath. Cleanse body thoroughly in fragranced water.